FIELD CORN | MICHIGAN GROWN. MICHIGAN GREAT. Michigan field corn is the state’s most abundant crop, with more than 300 million bushels grown annually. The industry contributes more than $2 billion to the state’s economy. 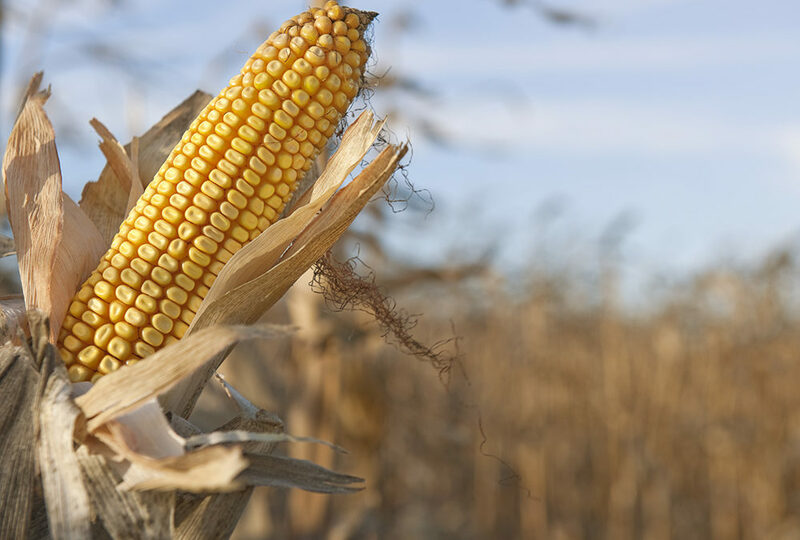 Field corn, which accounts for about 99 percent of all corn grown in the U.S., is a versatile grain that has many uses, including livestock feed, industrial products and biofuels like ethanol. Sweet corn is the type of corn you eat off the cob or find in canned and frozen foods. You can find more information about sweet corn here. In 2016, Michigan farmers harvested more than 320 million bushels of corn from 2 million acres of farmland. An acre is about the size of a football field. Ethanol, a renewable bio-fuel made from corn, is currently blended into more than 95 percent of the nation’s fuel supply. 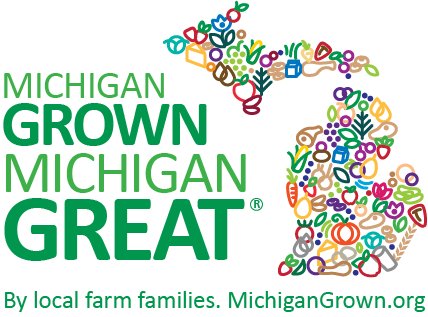 In 2016, Michigan produced 782,000 metric tons of DDGs, a high protein animal feed that is a co-product of the ethanol process. DDGs replaced approximately 20 million bushels of corn, which could then be used to feed additional animals, be exported or be processed. Many corn farmers implement conservation practices such as cover crops, filter strips, nutrient management plans, conservation tillage or no-till field management, forage or forest buffers, grassed waterways, mulching, and sediment control basins to help reduce the amount of nitrogen, phosphorus and sediment that run off into Michigan’s waterways. To learn more visit Michigan Corn Online.